Category: shiromi (white fish). Season: Available year round but best in the fall and winter months. 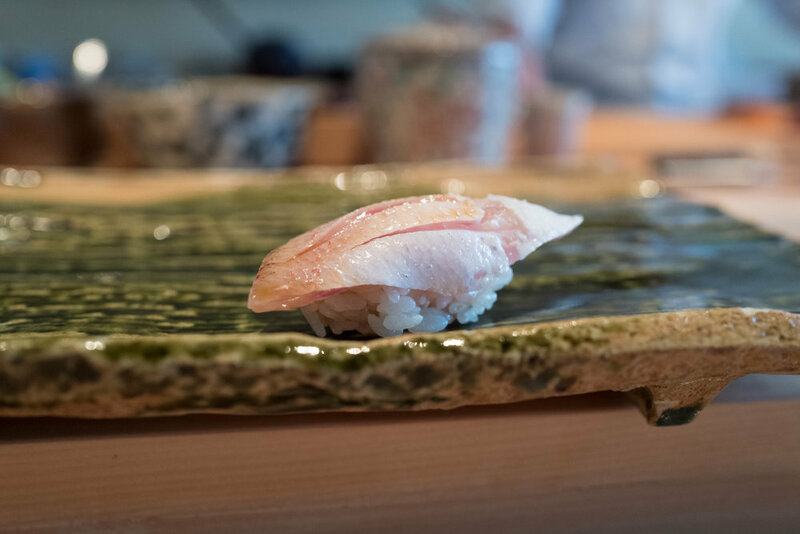 The best akamutsu (also sometimes called nodoguro) usually comes from the east coast of Japan, and top specimens will be line-caught. A deep sea dweller, it offers a very high fat content, especially for a white fish. When at their peak, akamutsu are usually about two pounds in weight, and measure around 12 to 15 inches. Imagine the flavor and texture of kinmedai, but even a bit fattier and more oily, with a lovely, sweet flavor and aroma. The fish is generally served raw, or slightly seared ever so briefly with a torch burner. Because of its fat content, this is another neta that works best with akasu shari.